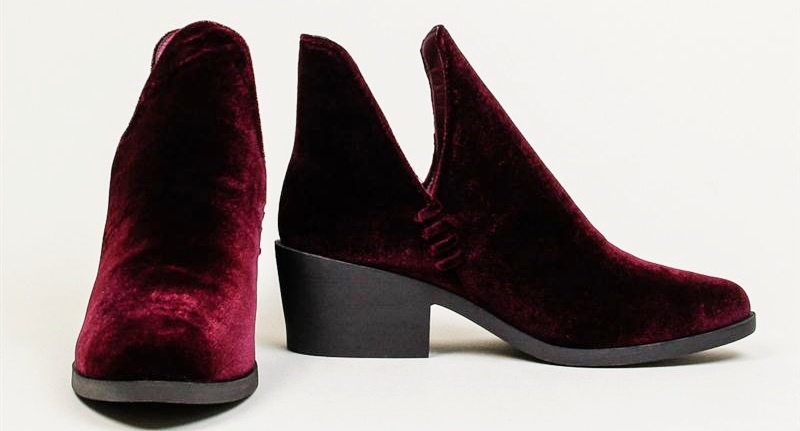 We have highlighted velvet, our favorite footwear trend a few times but there's always room for more. Today's Shoe of the Day are the very cool Coolway Shoes Briel Booties, a unique take on the classic Chelsea Boot. These versatile, on-trend, pull-on booties boasts a plush velvet upper, cool side cutouts for easy on and off, almond-shaped toe, and a street-ready 2 1/4" chunky block heel. Available in burgundy, and black, we think you'll love it as much as we do. 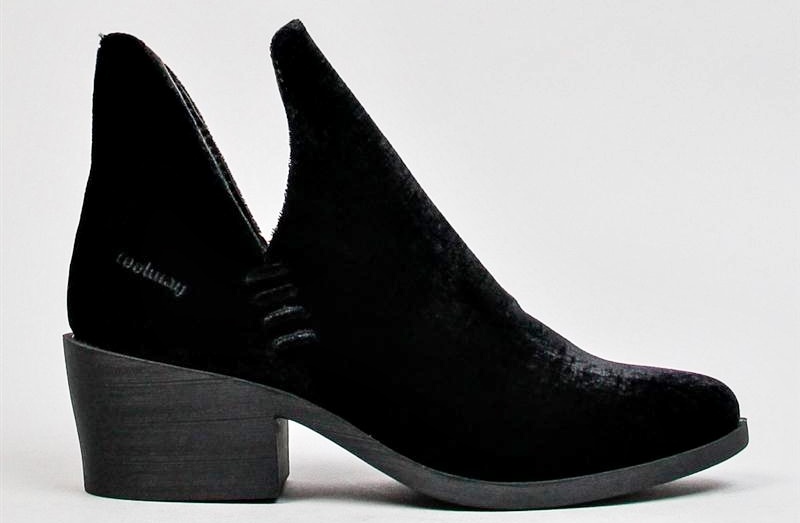 The amazing thing about this stylish bootie, besides it's looks, it retails for under $40.00 at www.dsw.com.